Qin Shi Huang was the First Emperor of a unified China. He ruled from 246 to 210 BC. As emperor, Huang unified China for the first time. He promoted both incredible and intellectual growth within China, and created magnificent and enormous construction projects (one being the first section of what would become the Great Wall of China). Huang is also well known in history for going on a quest for eternal life on this earth. As he reached middle age, he grew more and more afraid of death. He actually became obsessed with finding a way to live forever. He had his doctors concoct a number of potions for him to drink (many of which contained mercury). His “immortality treatments” would actually lead to his death about a year later. It is important to understand that the quest for eternal life is not wrong. In fact, had the emperor searched the scriptures he would have known how to obtain it. He would have known that while it is impossible for any person to live on this earth forever (Hebrews 9:27), if one submits to the will of Jesus, they can experience eternal life in heaven. 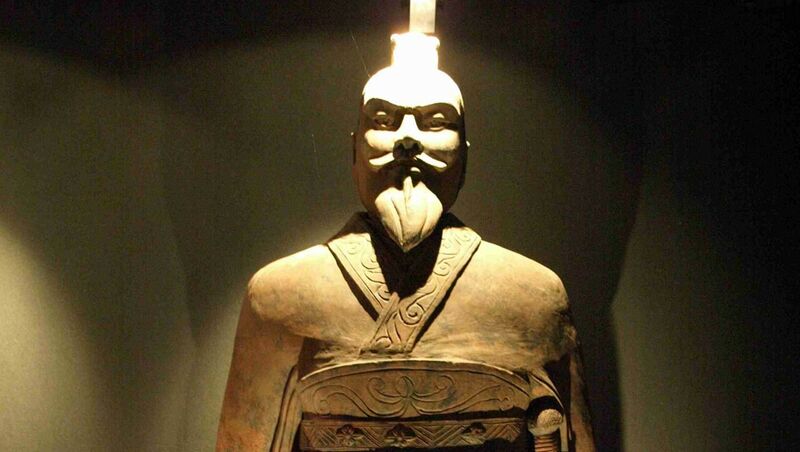 Emperor Huang’s main mistake was not in seeking for eternal life. It was in trying to obtain it apart from submitting to Jesus. Let us learn from his mistake! Let us understand that Jesus is the true source of eternal life. He is the ONLY way to heaven (John 14:6). He is the Son of God. He is the Christ. He is the One who by being raised on the third day conquered death once and for all (Revelation 1:17-18)! The question is: Are you willing to live for the One who is able to give you eternal life?